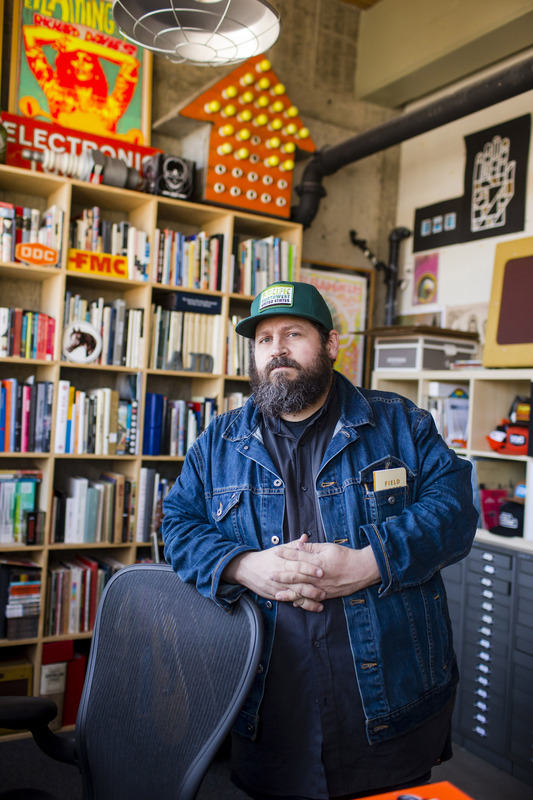 AMES, Iowa — Aaron Draplin, founder of Draplin Design Co. (DDC) in Portland, Oregon, will give the inside scoop on his career and the process of publishing a book about it in a lecture at Iowa State University. Draplin will present “Pretty Much Everything: The Whole Story Behind Our Book” at 8 p.m. Tuesday, March 7, in Kocimski Auditorium, room 0101 College of Design. Co-sponsored by the ISU Department of Graphic Design, the ISU Graphic Design Student Association, the student-run creative services agency Model Farm and Ames graphic design firm Measure, his talk is free and open to the public. “From the contracts to the scheming, from the pagination to the design, from the tears to the nightmares … we’ll share what it’s like to cram your whole half-wit career into 256 pages,” Draplin said. Born, raised and educated in the Midwest, Draplin is the sole proprietor of DDC. Established in 2004, the firm has completed a large number of print, identity, web design and illustration projects for such clients as Coal Headwear, Union Binding Co., Richmond Fontaine, Esquire, Nike, Wired, Dinosaur Jr., Timberline, Chunklet, Eaux Claires, Poler, Incase, Giro, Cobra Dogs, Jill Soloway, Sasquatch! Music Festival, Rhett Miller, Old 97s, Nixon Watches, Patagonia, Target, Megafaun, Danava, Ford Motor Company, Woolrich and the Obama Administration. A collaboration with Jim Coudal, Field Notes memo books are sold in more than 1,000 stores nationwide with limited-edition special editions shipped quarterly to subscribers. DDC’s first book, “Draplin Design Co.: Pretty Much Everything” (Harry N. Abrams, 2016), is in its third printing. 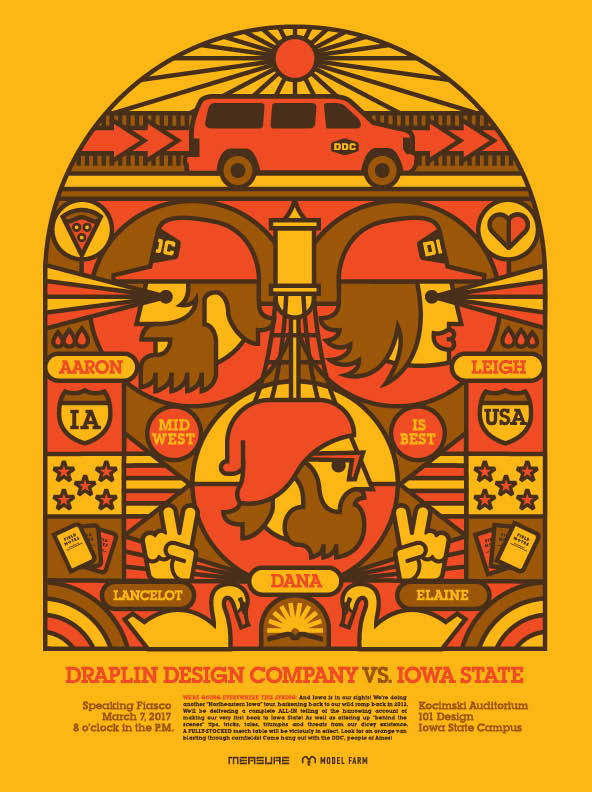 Draplin previously ran Draplindustries Design Co. in the mid-1990s. He served as design director at Snowboarder Magazine from 2000-2002 — winning Art Director of the Year for Primedia in 2000 — and senior designer with Cinco Design Office from 2002-2004. 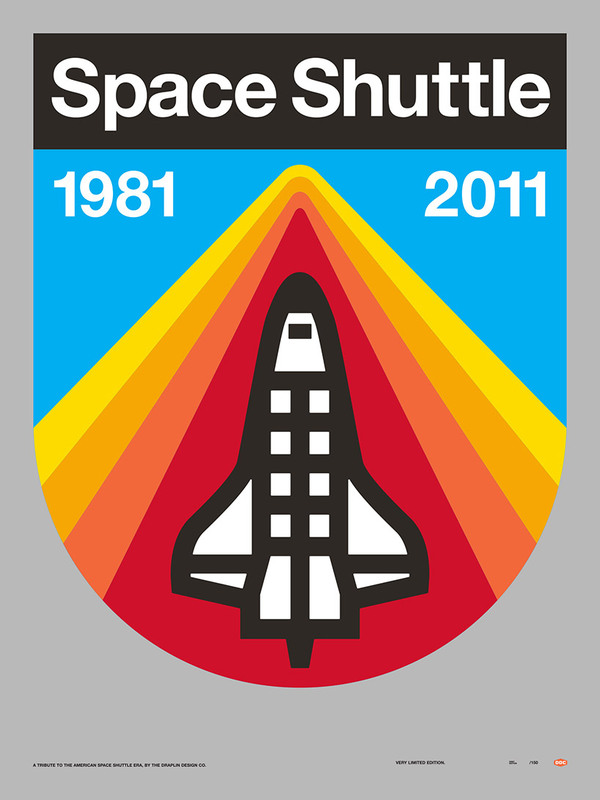 He holds a Bachelor of Science in graphic design from the Minneapolis College of Art and Design.